The AINFP program has piloted a mentorship program between TechnoServe staff (including their Deputy and Chief of Party) and standout PFS volunteers who are later in their careers. Twelve TechnoServe staff were matched and introduced. Their mentorship will run for one year, and the focus is on professional development for both parties. Peter Erickson, PFS board chair, is serving as a mentor for Nirav Patel, owner of Simply Foods, a PFS client company in Kenya. We're also trying out another new idea with our long-time client COMACO in Zambia. John Mendesh and myself have spearheaded a “sister plant” relationship between COMACO’s largest plant in Chipata and General Mills’s largest plant in Cedar Rapids, Iowa. Four high-level managers at both plants have been paired according to their technical areas of expertise in mentoring relationship to focus on areas of continuous improvement for COMACO as the company implements its first strategic eight-quarter plan. 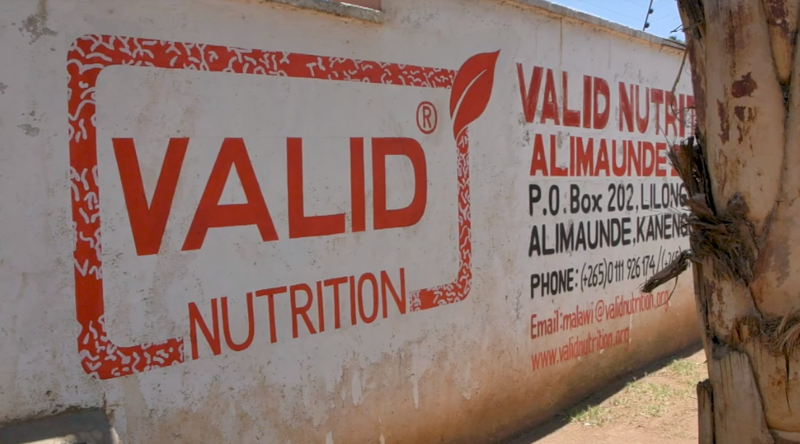 The General Mills Foundation is proud to announce a Global Volunteer Award has been given to a unique volunteer team that supported a Partners in Food Solutions (PFS) project to help Golden Bees Ltd. in Uganda. Golden Bees provides a wide range of beekeeping products and services, such as packaging and honey processing (sourced from over 2,000 local beekeepers), tinctures, beeswax, bee equipment, beekeeping feasibility studies, and beekeeping training and consultancies. “When PFS came to General Mills with a project to help their client, Golden Bees, improve their inventory management system, develop a quality management system and a mini lab, and improve their use of a computerized accounting system, our volunteers across the globe were quick to raise their hands and form a new way of teaming up for a volunteer project,” says Minn Wang, senior program manager at the General Mills Foundation. What resulted was the pilot of a volunteer team made up entirely of General Mills Europe employees. “Our aim with this effort was to build up a workplace culture of volunteerism and teamwork at General Mills in Europe, and to offer our PFS client a project team that had the potential to work together seamlessly, avoiding the challenges of time zone differences and in some cases, working together on project work from the same location,” said Frederic Olivier, a manufacturing and engineering director for General Mills, Europe and Australia (EUAU), based in Nyon, Switzerland. “Each of these volunteers made themselves available to their project clients via WhatsApp for informal discussions and check-ins between their scheduled bi-weekly project calls, which helped to expedite project work and resulted in a satisfying experience for everyone involved,” says Frederic. The Result: Today, Golden Bees has started to manage basic accountability with a new local software program. They have upgraded their quality lab and empowered the quality team with many of our team’s recommendations. And Golden Bees is operating by using an Excel inventory management tool built by General Mills. As a result of earning a Global Volunteer Award, members of this General Mills volunteer team will each receive a certificate of merit, a magnetic medal, and they will collectively choose a qualifying nonprofit of their choice to make a $500 foundation grant to. Simon Hailu, food processing specialist for the PFS Alliance Program in Ethiopia, says now that he's been to Switzerland, he finally knows how it feels to be the milk processed by his dairy clients in Ethiopia! It's because he's never been quite that cold! At the end of 2018, PFS staff joined field staff from Ethiopia, Zambia, and Malawi on a visit to PFS corporate partners in Switzerland and the Netherlands. The team toured processing facilities at Bühler, DSM, Cargill and also General Mills joint venture Cereal Partners Worldwide. They had the opportunity to meet with current and prospective volunteers, and to share about their work supporting food processors in home countries. It was a wonderful opportunity for us to bring the field experience to life at our European partners, connect with our amazing volunteers, and help our field staff understand the capabilities of our partners and volunteers. As a bonus, we got to enjoy the holiday season in Europe and our field staff had the chance to take a day trip to the Alps and see snow for the first time! The members of the team summed the trip up nicely - it was a chilly but enlightening experience! Taste of General Mills blog features our decade of work with our founding partner and the impact made in Africa and beyond. Read the story and watch the video HERE.